A team of scientists has created an innovative cognitive enhancer that creates geniuses. Working with a pharmaceutical CEO, Stanford neuroscientist Alan Pierce and psychiatrist Michelle Emmett test the powerful smart drug on a special operations team of soldiers that was assembled to preventatively assassinate future global threats. But the scientists and the military team’s leader, David Landry, soon discover a disturbing side effect. While the drug stimulates dramatic increases in intelligence it also turns its users into clinical psychopaths. The Genius Dilemma is a fast-paced and information-packed science fiction/action adventure novel that explores man’s inherent desire for progress, our seemingly endless fascination with enhancing the human body and mind, and Mother Nature’s rebellion to our oftentimes reckless curiosity. 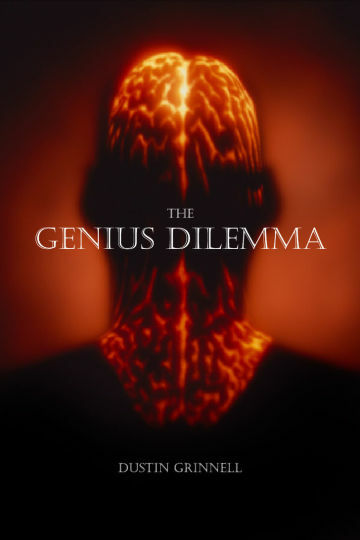 Purchase The Genius Dilemma on Amazon as an e-book for $0.99, or as a paperback for $9.95.